Ideal for repairing minor dents, dings and smoothing out auto body finish. High quality fibre glass shafts with rubber overlay for a comfortable grip. An ideal set for most auto body repairs. In this set are 3 fibre glass shafted panel beating hammers and 4 heavy steel formers. 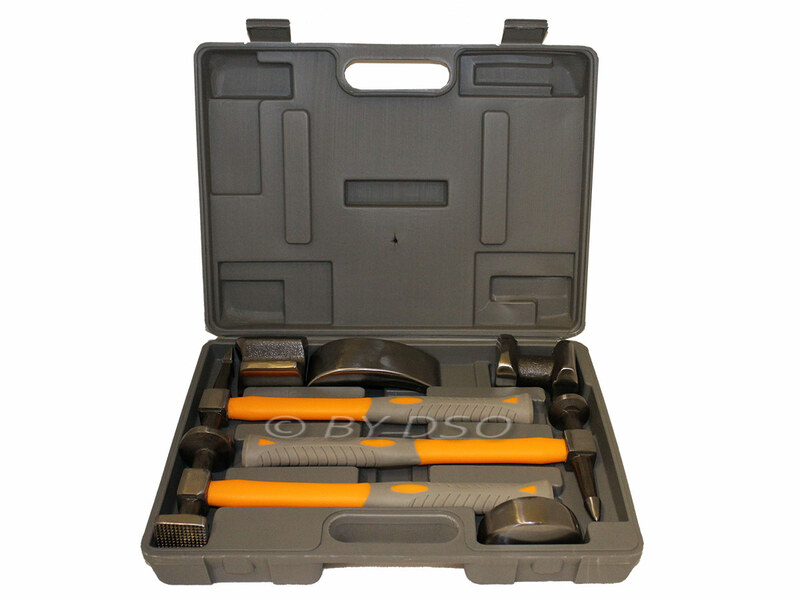 All the hammers have contoured fibre glass handles with rubber overlay for a comfortable grip. The case is provided to protect the goods when in transit. If the case arrives with damage and the item still works then no claim for damages can be made as the case has done it job.